due to which we cannot take care of our hair properly. Since we go outside, the nutrition of our hair is lost due to the dust, soil, polluted air which causes our hair to become rude and two-pointed. Apart from this, excessive chemical products on the hair, frequent washing, poor hair care etc. also have a bad effect on hair. Two prominent hairs also spoil the look of healthy hair. Due to these problems, we have to face many problems. In order to deal with all these problems, we should take help of some easy home users so that we can make our hair strong and beautiful and also we get free from split ends. If you have split ends hairs then you should trim your hairs in every six to eight weeks. This will help prevent the ends of your hair from splitting. If you already have split ends, then you will need to cut 1 ½ inches above the split; this will help you to prevent your hair from splitting. Take a one papaya and mix it with curd. Now put this mixture for half an hour in your hair, and then wash your head with cold water. By doing this, your hair will start to shine and it will help you to reduce the split ends. Castor oil is becoming a popular remedy for hair loss and a helpful ingredient for hair regrowth as well as split ends also. Mix castor oil into olive oil and mustard oil. Now put this mixed oil on your head for half an hour. By doing this Wash your head with shampoo after half an hour. Use it for a while. This will get free from split ends. Milk and cream are ideal agents to provide moisture to the hair. This moisture keeps the hair smooth and healthy and prevents split ends. The protein content of milk encourages the growth and repair of tissues. Mix whole milk and cream and apply on the hair. Leave it for 20 minutes before washing and shampooing the hair. 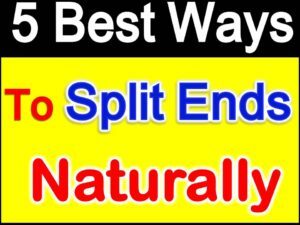 By using this method split ends will start decreasing. Honey is considered to treat many diseases. Take a little honey and mix some curd in it and prepare a paste of these two things. Now keep this paste for 20 minutes until the end of the hair. After 20 minutes, wash the hair with normal water. 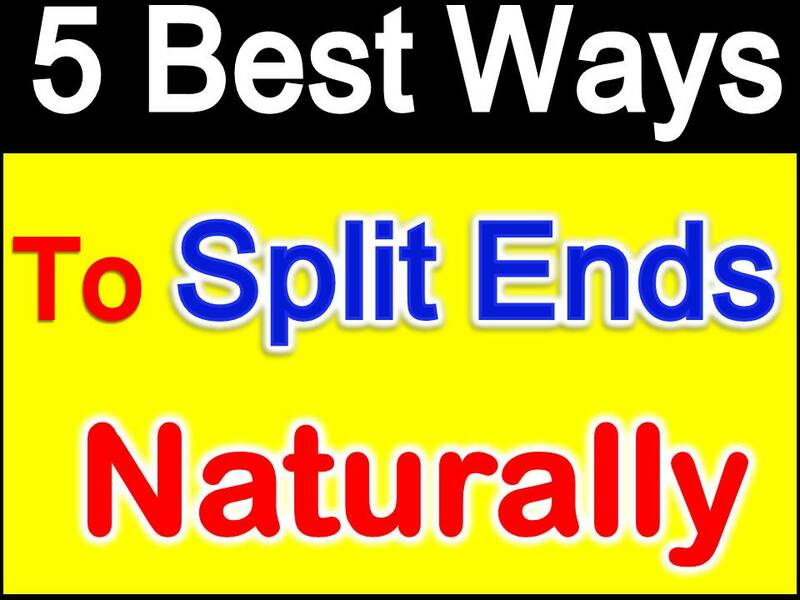 By doing this action, you will get rid of split ends. Potassium, zinc, iron and vitamin A, C and E in bananas are found in abundance. Which are very beneficial for our hair. Mash the banana to use it. Now put this mashed banana in your hair for some time. After this wash the hair with cold water. This eliminates the problem of split ends hairs will not occur again. Apart from this banana also reduces the risk of getting split ends hairs.